Canadian winters can wreak havoc on the skin: windy, cold, dry outside temperatures combined with hot, dry or damp indoors conditions. Winter naturally invites relaxation, renewal and rejuvenation. 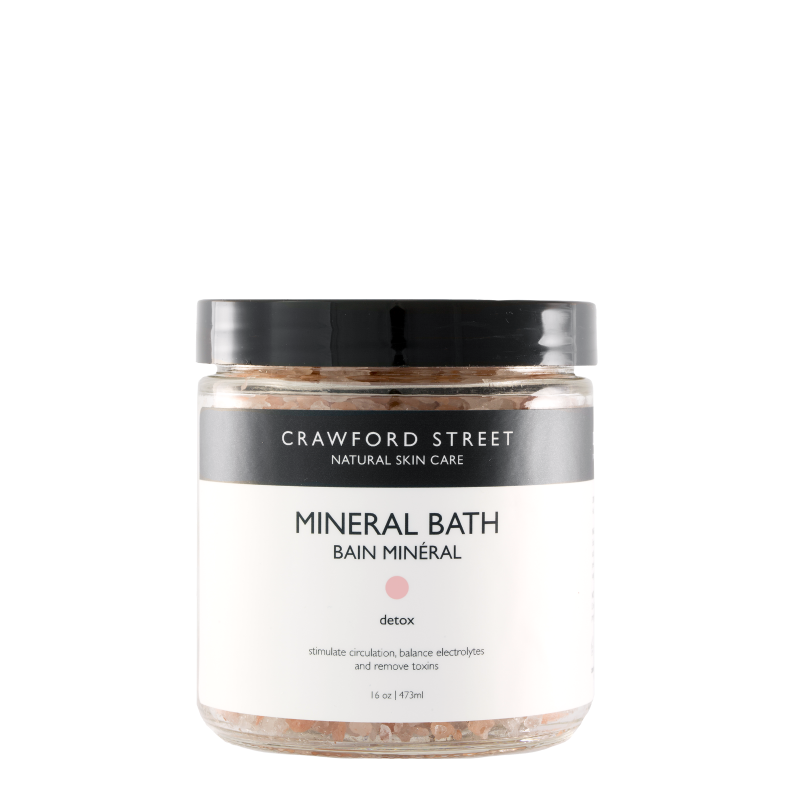 Crawford Street welcomes winter with a NEW survival kit containing four new products including mineral baths, deodorant, body oil and cuticle oil – all in environmentally responsible glass packaging. Soak away your winter blues with a relaxing mineral bath. Crawford Street introduces three new mineral baths: Detox, Relax and Steam. 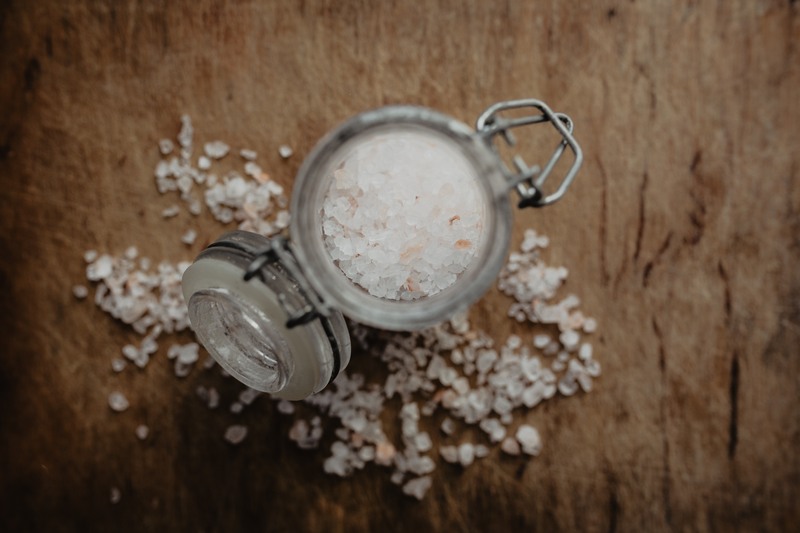 Each contains high-quality Dead Sea salts, and a carefully selected combination of therapeutic essential oils, to cleanse the body, unwind or soothe tired muscles. Perfect after a barre class and to de-stress. 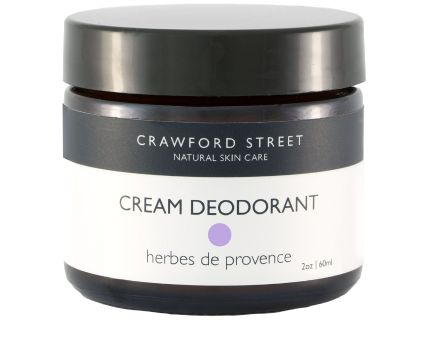 Crawford Street’s natural, HARD WORKING, deodorant cream contains a power packed combo of essential oils – all anti-fungal, anti-bacterial and deodorizing. It combines wetness absorbing cornstarch that will keep you smelling fresh all day! There is no aluminum, propylene glycol, phalates, or parabens but instead it contains beneficial botanical plant oils that deodorizes and kills bacteria. New scents include: Herbes de Provence inspired by the fields of Southern France; lavender essential oil, rosemary, marjoram, parsley and thyme creating a delightfully herbaceous scent, Woods, an earthy blend, includes cedarwood, juniper and clove, it’s a bit woodsy and a bit spicy but appeals to women as much as men. Think “Old Spice”! After a nice soak, indulge in a little self-care. The simple application of oil has an amazing effect on the body and the mind. Body oils offer an intensely hydrating treatment for the skin, as they help lock in moisture and are quickly absorbed into the deepest layers of the skin keeping it moisturized longer than any lotion. Toning and Smoothing Cypress Body Oil is the perfect way to combat dry skin caused by the harsh winter elements. Carefully selected essential oils, in a base of grapeseed oil, will gently detoxify congested layers of skin tissue, improving skin tone and texture, while at the same time deeply moisturizing the skin. Hands and nails take a beating in the winter due to lack of humidity, dry and cold air, along with repeated polish changes during the holiday season. Serums don’t need to be limited to just the face. This luxurious Cuticle Serum, infused with Rose Otto and Borage Oil, delivers a deeply protein-rich treatment that will keep your cuticles healthy and soft, and it also smells divine! 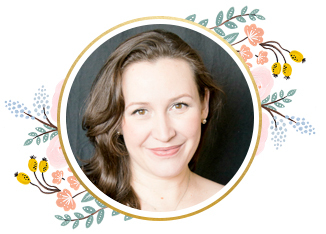 Why I love Crawford Street Skin Care? Crawford Street Skin Care products are produced in small batches in their laboratory on Crawford Street in Toronto. They take special care to ensure that each product arrives to you as fresh as possible. Crawford Street Skin Care products are 100% natural. They are free of petrochemical derivatives, such as mineral oil and petroleum, PEGs, Parabens, DEA, Sodium Lauryl Sulphate, artificial dyes and fragrances, chemical preservatives. How do you treat yourself? Do take care of your skin with nourishing oils? Destress in the tub once the kids are in bed? Disclosure: This post was written in collaboration with Crawford Street Skincare. I’ve also purchased two of these products and love them. I do love that this is all natural. And I loveeeeee those bath salts because I love that exfoliating feeling!! I just ordered the Detox, I can’t wait! I am hunting for a new natural deodorant and this cream sounds very good. I wasn’t aware of Crawford Street products. Thanks for the info about them. My skin suffers during the cold and super dry winters; I will have to check out these products. Thanks! This looks great for the winter! I’ve not heard of Crawford Street products before. Love that they’re a Canadian firm and their products are 100% natural. Oooh, that mineral bath sounds heavenly right about now! I had not heard of Crawford Street products but I do .love that it is natural. I really appreciate the detailed description of the scent of the deodorant. Old Spice is instantly relatable and I know what to expect. I haven’t been able to find a natural option that I really enjoy, so this was helpful.